An investigation is underway after a lorry overturned on a motorway slip road near Sheffield - blocking the road. A lorry landed on its side on the northbound entry slip road of the M1 at Junction 34 - Meadowhall - earlier today, blocking the road. The lorry has now been pulled upright and the slip road has re-opened. Police officers want to hear from witnesses to the incident at 6.45am. 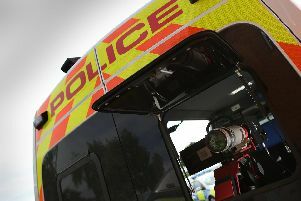 A South Yorkshire Police spokeswoman said: "A lamppost, a motorway sign and a barrier to an underpass from the motorway were damaged as a result of the incident. "Did you see what happened?"